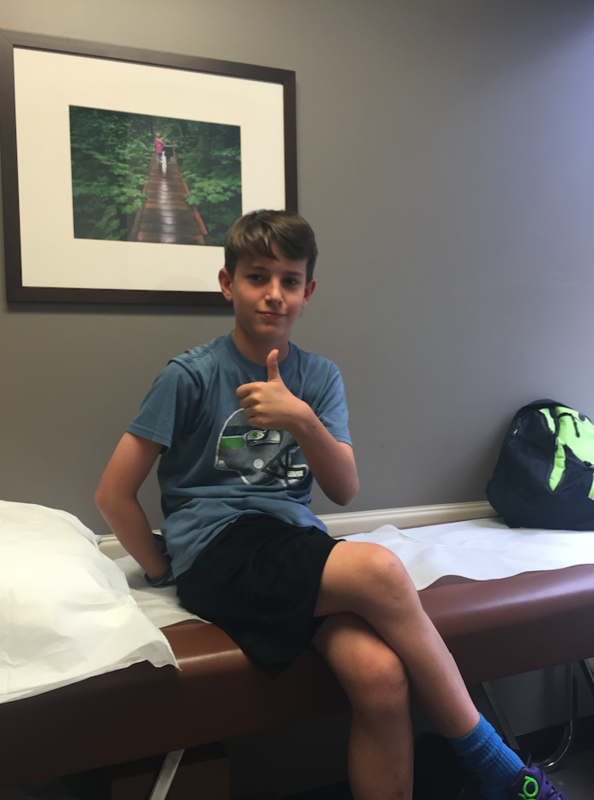 "A year after we started this process, my son went in for his food challenge at [Seattle] Children's last week to see if he has been on the placebo or the peanut powder. He sailed through the first few doses, but started to feel throat discomfort at the equivalent of 2 peanuts. (Last year during this food challenge, he required epinephrine at 1/20th of a peanut.) The discomfort went away and they kept going and going until he received the last dose. He received the equivalent of eight peanuts without needing any medication: no Benadryl, no epipen, nothing! Then we were 'unblinded' and told that my son has been on the peanut powder this year. This shocked me because other than a few [gastrointestinal] issues early on, we’ve had an uneventful experience. That's why I was convinced we were on placebo. But my son said he knew he was on the real thing all along: he just 'felt' it. My son will continue to take his daily dose of 300 milligrams (equivalent to one peanut) and keep a diary of when he takes the dose and any issues he may have. In 28 weeks, we’ll do another food challenge and then I think we are done! Although he’ll need to consume peanut each day so he can keep his tolerance." Here’s a current study that’s similar to the study Deines' son is participating in; it’s currently enrolling new participants. Original story (8/10/16): Whether or not you use EpiPens, you’ve likely heard a lot about them recently. News broke in August that the cost of the life-saving medication had spiked more than 75 percent, frustrating caregivers and putting patients in a tough position. Some alternatives are available — including King County Emergency Medical Services’ popular (and cost-effective) “Check and Inject” program — but critics say they don’t do enough, leaving families in trouble. The EpiPen news is particularly important for families like Deines’; her son is actively fighting for a fix for common food allergies as one of nearly 500 people participating in the PALISADE clinical trial. 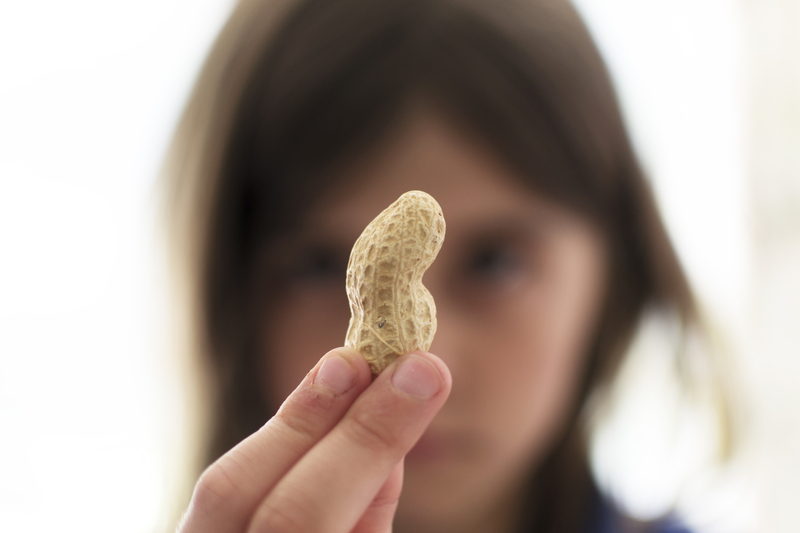 Conducted by Seattle-based clinical research center Asthma Inc., PALISADE (which stands for Peanut Allergy Oral Immunotherapy Study of AR101 for Desensitization in Children and Adults) attempts to teach the body to lessen the severity of its reaction to peanuts. How exactly does it do that? By carefully and strategically introducing small amounts of peanuts to a person in a process called oral immunotherapy. As a participant in the PALISADE trial, Deines’ son Mick eats a small amount of peanut protein powder mixed into applesauce every evening. “Finding an essential treatment tool is no longer 10 years in the future,” says Dr. Stephen Tilles, principal PALISADE investigator and clinical professor of medicine at the University of Washington. “A way to help people is really coming right up, with possible FDA approval in late 2018 or early 2019.” That’s tentative approval; Dr. Tilles and his fellow researchers are in the final stage of research before they present the results to the FDA. That’s good news, as the number of children living with peanut allergy tripled between 1997 and 2008, and it’s not an allergy many outgrow. Thankfully, there’s been a surge of new information surrounding the allergen. The PALISADE trial is part of that shift. It’s one of two major peanut immunotherapy studies that’s currently in phase 3 (the other, Pepites, involves a “peanut patch” applied to the skin of children ages 4–11). Of the two, PALISADE is the only one still recruiting participants, both minors ages 4–17 and adults ages 18–55. When her son qualified, Deines was relieved and excited. She had been trying to get him into such a study for more than four years. Deines discovered Mick’s peanut allergy when he was 7 months old. She’d had her concerns — Mick had severe eczema as a newborn — but doctors told her not to worry about food allergies. Then, one day she was eating trail mix while making her son a bottle. Soon, Mick began projectile vomiting and grew so lethargic that Deines called 911. Mick perked up once firefighters arrived. “They realized I was a first-time mom and left,” she says. But Mick kept throwing up, and eventually Deines found herself at Seattle Children’s Hospital. There, he got the medicine epinephrine and was kept overnight. Soon after, Deines switched pediatricians and had her baby tested for food allergies. This spring, the now 12-year-old Mick began participating in PALISADE by taking a two-day food challenge to prove he is, in fact, allergic to peanuts. The test: Mick ate peanut protein powder (the amount equivalent to an eighth of a peanut). Afterward, Mick said his throat felt tight and his stomach hurt. Tilles administered epinephrine. Approved for the study, Mick then began the yearlong process. Every two weeks, he spends three hours at a Seattle food allergy research center ingesting a dose of peanut protein powder while a medical team monitors his reaction. If participants experience severe reactions, they may have to stop participating, but so far, Mick has been able to return home every evening. The hardest part of the study? Mick says it’s not being able to be active for four hours after he eats the protein powder, a necessary precaution to avoid raising his heart rate and potentially causing an allergic reaction. That means no jumping on the trampoline with his younger brother, and once having to cancel a weeklong overnight camp. Of course, despite all this effort, Mick may be receiving the placebo used in the study as part of a control group. His family won’t know until June. The good news: If Mick is, in fact, receiving the placebo, he’ll have a chance to try the peanut oral immunotherapy further along in the study. Mick is game for that, but his mom hesitates. She’s watched him miss camp, school and family activities, among other sacrifices. Still, it’s what Mick says he wants. There’s more good news for the one in 13 children who have food allergies in the U.S.: Food immunotherapy re-search is progressing at a rapid clip. Here’s a roundup of current and upcoming studies that could change treatment options for the better. The second phase of the MILES milk-patch study for children with IgE-mediated cow’s milk allergy is still recruiting participants. If there’s a third phase of the study, Dr. Stephen Tilles of Asthma Inc. estimates it could start as early as mid-2018. Another peanut patch study will be initiated in the next one to two months at Asthma Inc. This post-phase-3 study is sponsored by DBV Technologies, the company that makes the patch, to obtain more safety information and data. The first phase of a peanut DNA vaccine study sponsored by Astellas Pharma will enroll a small number of adult patients beginning in one or two months. Asthma Inc. recently completed enrollment in a multi-center study treating patients with multiple food allergies with oral immunotherapy plus Xolair, an anti-IGE injection therapy that may make it safer for patients to receive oral immunotherapy. A second similar study is in the planning stages and may begin enrollment in 2017. The best place to start for people interested in any of these studies: Sign up for patient studies through the Seattle Food Allergy Consortium or call Asthma Inc. at 206-525-5520.